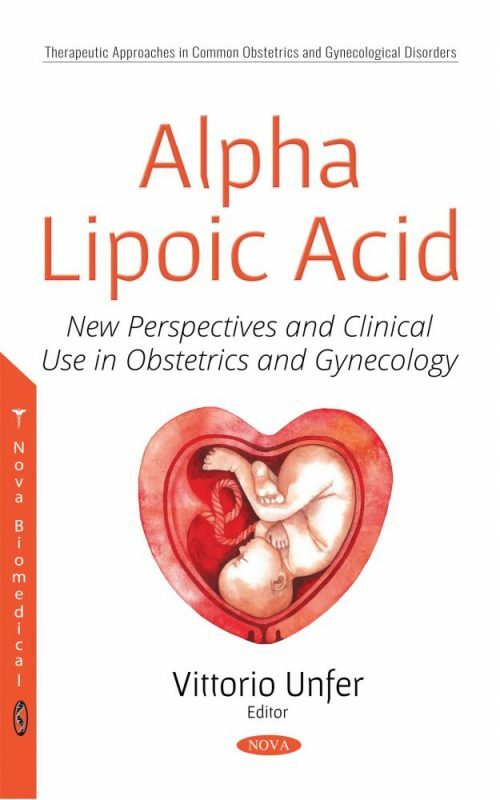 Alpha Lipoic Acid: New Perspectives and Clinical Use in Obstetrics and Gynecology focuses on the rationale of Alpha-Lipoic Acid (ALA) use in the field of maternal-fetal medicine and its clinical applications. So far, the use of ALA is promising in several conditions which involve inflammation, oxidation, and tissue damage in their pathophysiology. Indeed, several studies provide a reliable amount of data related to the therapeutic use of ALA in different disorders such as cancer, neurodegenerative diseases, diabetes, tissue regeneration, ischemia–reperfusion injury, and aging. According to the multiple actions of ALA and its safe profile, this book provides valuable updates regarding the positive role of ALA supplementation from implantation to parturition, and includes research and information from newer published studies in this field. The rationale of ALA use in obstetrics, the current preclinical and clinical evidences on the administration of ALA to maintain the physiological state of pregnancy and treat pathological conditions such as threatened miscarriage, and preterm delivery represent the core of this composition. In addition, to contain the core science of ALA in pregnancy, this book is designed to serve both as a valuable clinical reference for the obstetricians and as a starting point for the development of new experimental and clinical studies on the use of ALA in pregnancy.